Beef is slowly cooked in warm Mexican spices until tender and juicy – ideal for serving in tortillas, over rice or on a salad! Recently I asked what types of recipes you wanted to see more of on The Lemon Bowl and I got a resounding response for more slow cooker recipes! One cut of beef ideal for the slow cooker is the beef chuck roast. Cut from the shoulder, chuck roast tends to be on the tougher side which is why it lends itself so well to a long cook time of a slow cooker. Affordable and versatile, the chuck roast adds just the right amount of fat to produce a tender, flavorful end result. 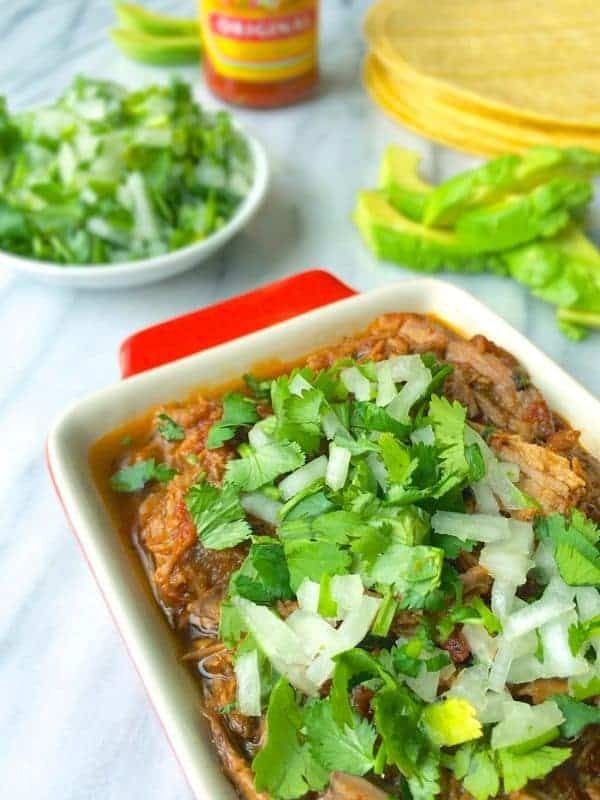 Made with warm spices like cloves, cumin and oregano, I love serving this shredded beef in warm tortillas, over brown rice or on top of my Mexican Slaw. My boys love cilantro and avocado so I always add it as a garnish to the dish but that’s totally optional. If you want to make this ahead of time, it will keep in the refrigerator in an air-tight container for up to 5 days. Beef is slowly cooked in warm Mexican spices until tender and juicy - ideal for serving in tortillas, over rice or on a salad! Place beef roast in the center of a slow cooker insert. In a small bowl, mix together all the spices (garlic powder through oregano) and rub evenly around the entire beef roast. Add bay leaves, chili, lime juice and beer to the slow cooker then cover with lid. Heat on HIGH for 4 Hours or LOW for 8 Hours. Shred beef with two forks and serve with warm tortillas, over rice or on a salad. 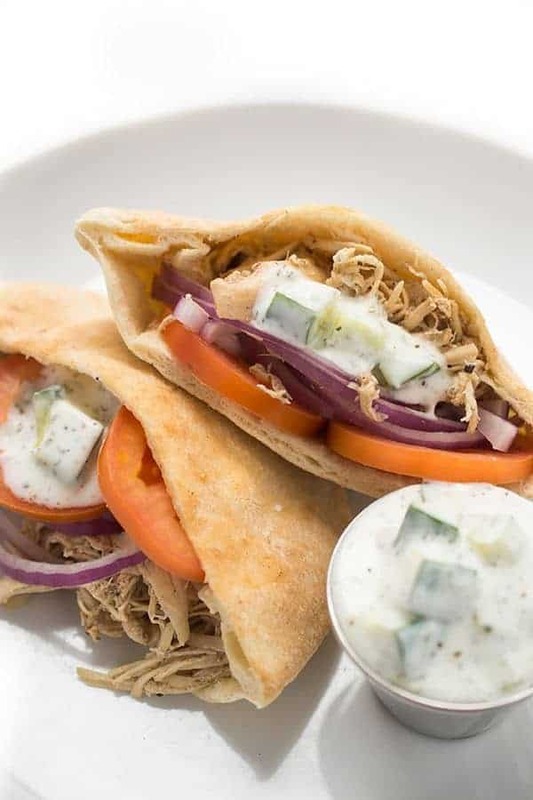 Interested in more simple slow cooker meals? Check out my Pinterest board! Looks like a new favorite meal in our house! I LOVE this recipe and your photos are just too pretty. 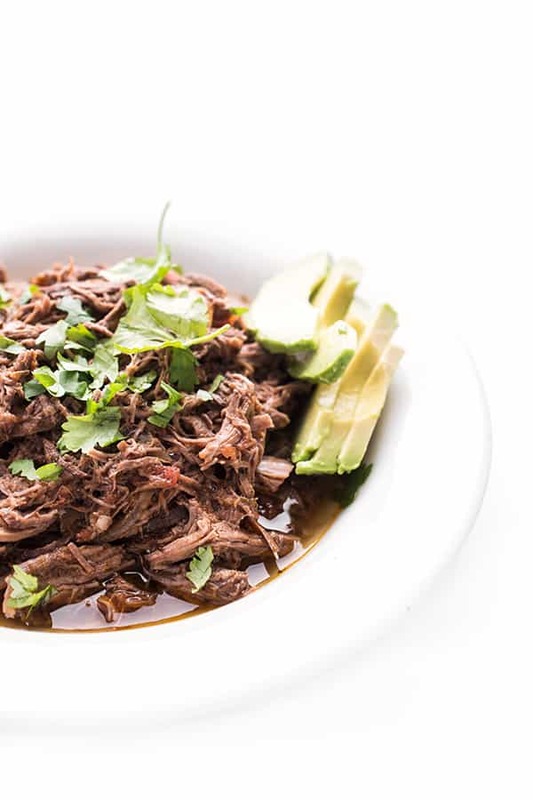 The slow cooker is a godsend when it comes to making shredded beef! Love how tender it gets with hardly any effort! I LOVE making shredded beef in the slow cooker! The best way to make it in my opinion! I’m not sure – so sorry!